If you’ve ever been contracted to design a product label for a food/beverage product, you’ll likely be well aware of how difficult it can be. It’s not just about creating something that looks great and does the brand justice, but also about designing from a marketing point-of-view. Let me explain: most consumers make their purchasing decisions at the point-of-sale (i.e. when they look at a bunch of competing products on the store shelf). 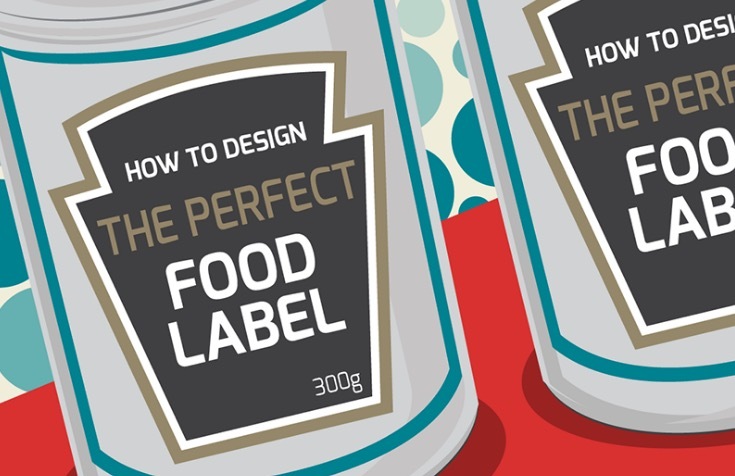 This means that in order to effectively design a food product label, you need not only to create something eye-catching, but also something that stands out from competing products. Therefore, your job as a designer isn’t just to sit down in Photoshop and start designing; you also need to research the competition. You need to work with the client to analyse their competition (which is often easier said than done), then make every effort to design a label that doesn’t blend into the crowd. You’ll need to use a unique colour scheme, typography, and style; all while making sure to maintain the identity of the brand you’re working with. And that’s just the beginning. Luckily, we found this nifty infographic – created by FastLabels.co.uk (custom labels printing company) – that aims to walk designers through the process.